If you're like most people, you probably did a huge VHS purge after the advent of DVDs. In most cases, this was probably a good idea. After all, the unwieldy tapes tended to take up a lot of room—and you needed to make way for your DVD player. But in some cases, you may end up regretting the day you put all those videos in a box and shipped them off to Goodwill. In recent years, many videos have come into vogue with serious collectors—specifically, if you happen to possess a rare edition of a Disney movie. 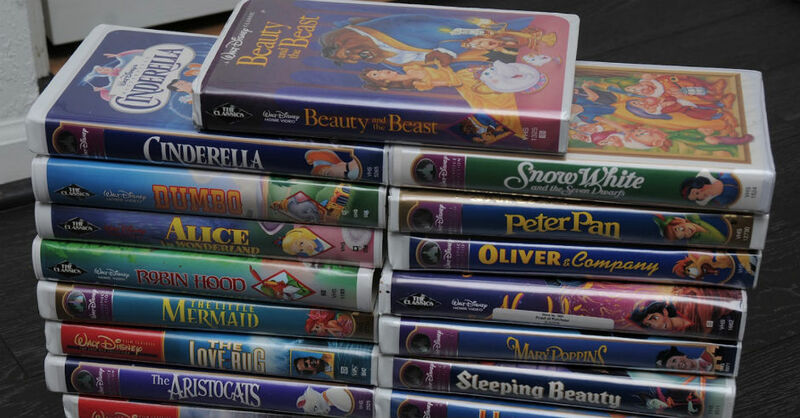 Those who own early Beauty and the Beast VHS tapes should especially check out the going rates for these videos on auction sites—you may be surprised, to put it mildly. There have even been tales of tapes selling around the $10,000 range—not a shabby payday for cleaning out your entertainment center. This is why it wouldn't be a bad idea to paw through your old collection and see if you happen to have any special videos of Aladdin, Sleeping Beauty and more. It's time to make that Disney obsession finally pay off!